ELF is an affordable makeup brand which hails from USA and is known for making quality products at a very pocket friendly price. Today I am going to review the shade Balm 042 from the ELF lip crayon range. I have reviewed another shade which is Balm 041 also which is a beautiful orange and brown sort of a shade so don't forget to check that out. Packaging: ELF lip crayon is packed in a very sleek and cute looking, colour coordinated chubby stick which can be twisted from the bottom to take out the lip crayon. The shade name as well as number are both mentioned on the bottom part of the tube. comes in a beautiful chubby stick styled packaging with shade name and number indicated at the base and can be twisted from the bottom to take out the lipstick bullet. It is colour-coded, attractive, sturdy and light weight. The cap is tight and closes securely. It's travel-friendly, durable and easy to pop in your wallet. Shade: The shade 'Balm 042' is a lovely pink colour which looks deep pink in the chubby stick but comes out really light on the lips. It is a lovely shade that will suit all ages and medium to fair skintones beautifully. Texture : The texture is buttery soft and so smooth that it just glides on the lips and feels non-sticky at the same time. 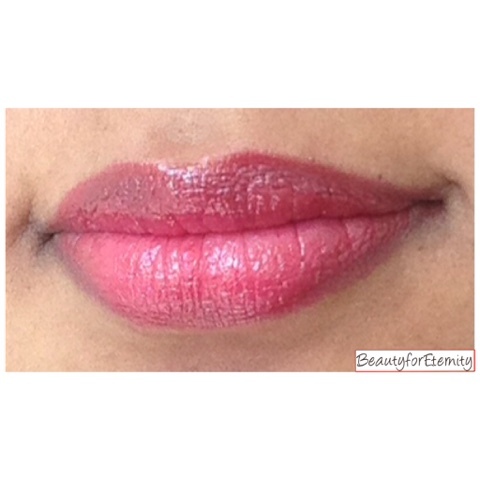 It's softer than a typical lipstick and much easy to use without any pulling or tugging even if you have dry lips. Being soft it goes on smoothly even when applied with a light hand. It does go into the fine lines but does not settle there. 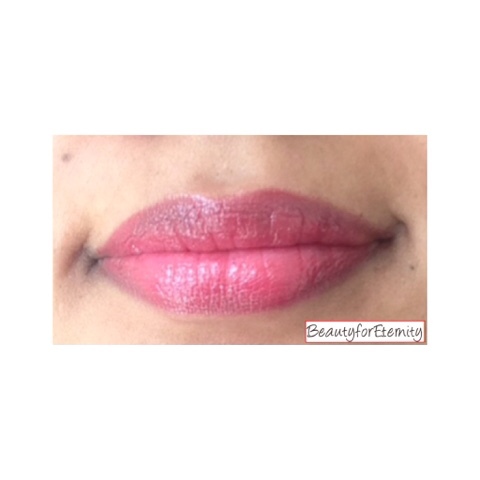 It feels extremely light on the lips and does not cause any discomfort. Finish: It has a glossy finish which is extremely subtle and does not look over the top. It's one of the ideal lipsticks that you can wear everyday. 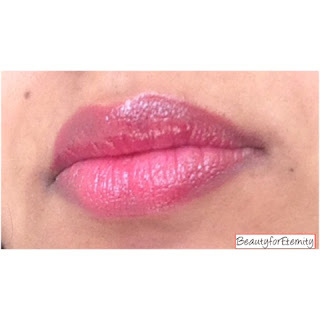 It contains absolutely no shimmer or glitter yet gives a subtle sheen to the lips. People who neither like matt lips nor extra glossy, will love this. 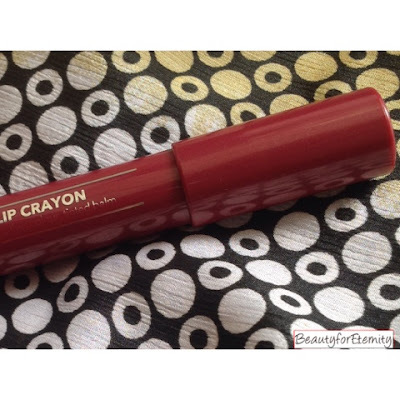 Lasting power: The staying power of this lip crayon from ELF is better than Revlon colorburst lipstick. It stays 4-5 hours on me and does survive meals and drinks. Although it keeps becoming slightly matt gradually but does not fade away much for 4-5 hours. After that, it starts to fade away evenly and leaves a lovely pink stain behind which lasts for entire day on me. Some people might not like the stain but i personally found it to be looking lovely on me.